combined with an unfamiliar or distracted communication partner, cause frequent communication breakdowns. Even infrequent communication breakdowns can cause major frustration! One situation that comes to mind for me happened when working with an adult who has cerebral palsy. We had discussed many topics over the course of the day including his spinal surgeries and, of course, his computer. He said to me what I heard as, "I am going to undergo an operation on my neck." I repeated it back to check my understanding. He told me no and repeated himself. I still did not understand. We went maybe five more rounds of this before he was able to use eye gaze and moving his wheelchair slightly to point my vision towards his computer. With that context cue he repeated himself again and I heard, "I am going to upgrade the operating system on my Mac!" When I retold this story to a friend who is a speech therapist and an AAC specialist she said, "And that's something that's pretty unlikely to be on a communication system!" True, very true. 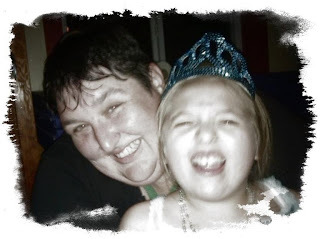 We have all probably met children (and adults) whose speech is afffected enough that some professional would recommend AAC, which is, of course a very valid strategy. 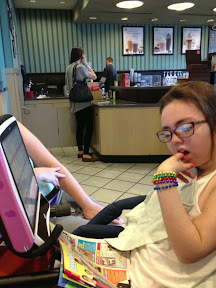 We have also probably all met the child (or adult) who will NOT use AAC. What can we do? 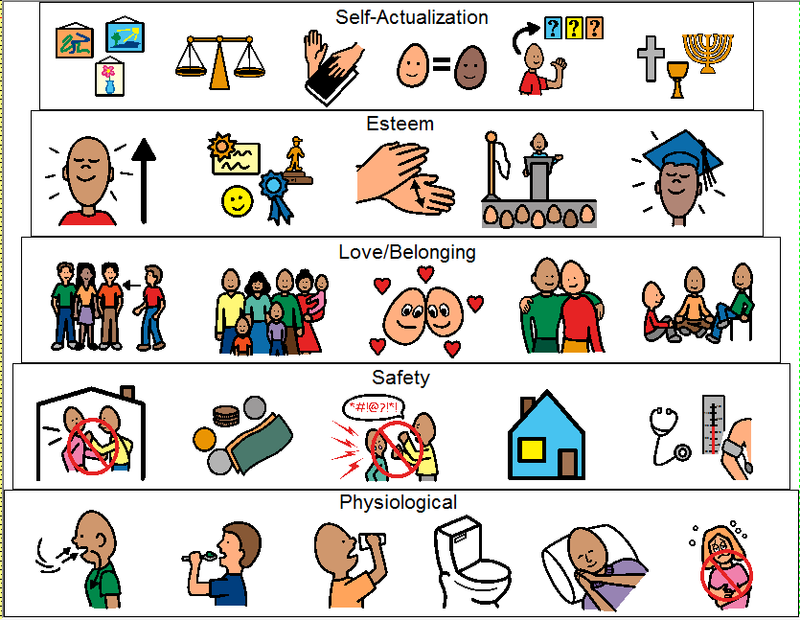 Most of the research on communication repair focused on a couple of strategies: using a topic cue to create context (as was done with visual pointing in the story above) and using letter cueing by stating or pointing to the first letters of the words. Using both strategies at once has also been studied. All three of these can increase understanding but do not eliminate all frustration. In working with children with low intelligibility who do not use AAC or use it only as back up, I like to focus on teaching them the three R's - Repeat, Rephrase, Repair. I teach children that when someone doesn't understand them then they can start by repeating themselves. If they can repeat themselves more clearly and slow down or speak up that might help. If they are still not understood they can try rephrasing or saying it a different way. We spend a lot of time working on this skill because it isn't as easy as it sounds! We play a lot of games where one person says a sentence and the other tries to say it in a different way. If they are still not understood then they can repair using a strategy. The strategies I teach depend on the talents and challenges of the student. They include by aren't limited to, "It starts with ___" alphabet cues, spelling whole words, creating a context (which I sometimes call giving hints), calling in a more familiar listener, and using "cold, warm, hot" to aid the listener in asking questions and/or using AAC boards or devices. When working on learning how to give hints we work on using gestures, topic boards or lists, spelling boards, finger spelling and other skills. I should note that I make teaching spelling, especially identifying and indicating the inital phoneme of common and uncommon words a priority in my teaching. Having students learn word prediction is a great way to teach initial phoneme identification and writing at the same time! The new hit song "Roar" has given me another great tool - I have been reminding my students that I want to hear them RRRoar when things get hard! Repeat, rephrase and repair using a stategy! 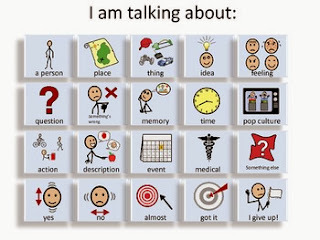 The PrAACtical AAC blog posted about speech supplementation strategies a few months ago and shared some spelling boards and text-based topic boards that can be downloaded. You can also find my Communication RRRepair book over on Teachers-Pay-Teachers. You can find a nice slideshow about this topic by Hustad and Buelkelman here. Christmas switch activities abound this season. Special Bites has shared four new, fun switch activities for Chrsitmas! These are added to their other Yuletide favorites and Christmas Cause and Effect music/video slideshows here and here. Watch out for some of the farting reindeers, I've seen them make paraprofessionals and adminstrators who suffer from low sense of humor a little upset! 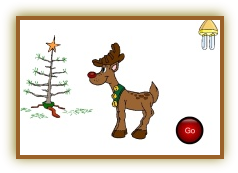 If you happen to be a member of HelpKidzLearn you have access to an Advent Calendar, Card Maker, Christmas Presents, Make a Snowman, The Snow Family, and Little Lost Penguin. 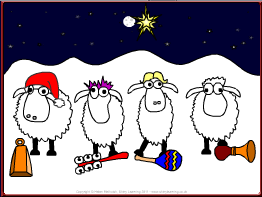 LowIncidenceAT has "revamped" switch videos (editted for more switch hitting form Priory Woods website including Singing Santa, Have a Quacky Christmas, Up on a Housetop and a three choice Christmas activity. The illustrious Ian Bean gives us (scroll almost all the way down) Mistletoe and Wine, Oh Christmas Tree, Let It Snow and Happy Christmas. Or the Christmas stories at Northpole which are accessible if you choose, "Hear a Story" and then put the switch over "turn the page"
Make YouTube Switch Accessible for Special Needs Kids - using Specialbites! Morning Meeting shouldn't be something we do in our classrooms because it is what everyone does or its what we have always done. It should be, like everything else we do in school, purpose driven and related to classroom and individual educational goals. Writing morning meeting mission is something you can do on your own, with your classroom staff or with your TEAM. The idea is to reflect in writing the purpose of holding a daily morning meeting and really reflect on what parts of your morning meeting meet educational goals and which parts are done because everyone does them. Much attention is given on Pinterest and teacher blogs to cool looking morning meeting areas with a LOT of attention to how the calendar and its related activities look. There are many inspiring ideas online, but in older classrooms we want to steer away from "pre-school" looking morning meeting areas. We don't want peer visitors to enter the room and think, "Oh look, we had that calendar in my Kindergarten!" Your morning meeing area should reflect your morning meeting mission. Your morning meeting area should be age appropriate which means no blue or yellow pocket chart calendar after elementary school and no cutesy numbers either. Would you see those straws for counting the number of days passed in any other classroom at your students age level? If not time to get rid of them. Older students would likely be interested in having some input into what the morning meeting area looks like or even if you have one at all. Consider doing survey and having votes over how things should look. education morning meetings. It makes sense to some degree as it allows non-speaking students to tell about their evening or weekend. However, having 5 to 10 students each play back a series of messages can be time consuming. Many of our students also learn, with out us meaning to teach them, that dragging out this process allows them time where they have the full attention of adults and classmates and power over everyone as we beg them to play their message! Is this really what we are aiming for? Not to mention that a formal retelling of your evening or weekend stops happening after about Kindergarten in general education, so it isn't really age appropriate. This isn't to say students should not share news, they should! This is to say that we need to rethink how students share news from home. does it need to be in a large group? could students "pair and share" instead? can you use a different time of the day to help students comment on what is on their switches or devices thus moving the focus from playing someone else's words to generative language? could students use their message from home to write in a daily journal? counting the calendar, making patterns with the number cards on the calendar and graphing the weather are all common. There is nothing wrong with these activities per se in older classrooms. The question is does calendar fit in with your morning meeting mission or are you doing it because you think you should? Are your students actually learning anything from the daily recitation of "Yesterday was... Today is... Tomorrow will be..."? Have you thought about what it would be like to do that activity everyday from pre-school to graduation and possibly then in adult services? Are the materials you are using for calendar age appropriate or would they be more likely to be seen in the second grade classroom down the street? 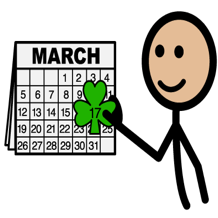 look back at your morning meeting mission - do calendar tasks fit? Most schools have the pledge on the loudspeaker daily, yet we in special education often then repeat it in our morning meeting. We sometimes add to the event of saying the pledge by handing out flags to everyone or having a large flag and a student to hold it despite the flag on the wall every other classroom uses. 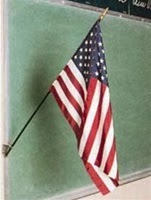 Would it be possible to particpate in the pledge with everyone else and use the flag on the wall? What do you gain and what do you lose by doing this. The pledge is an important part of the being a school child in America and I am not advocating eliminating it, but as teachers we need to give thought to how much time we spend on saying the pledge and if there are other things we are losing out on doing during that time. Morning Greeting is a part of many general education morning circles. Typically the teacher picks (although sometimes a child picks) a greeting such as "smile and wave", "shake hands" or "high five" and then one child starts by turning to the child next to him or her and giving the greeting and it passes around the circle. This activity is great in those elementary classrooms for working on eye contact, learning each others names and some of the pragmatics of language. Many times our students need to work on this too. 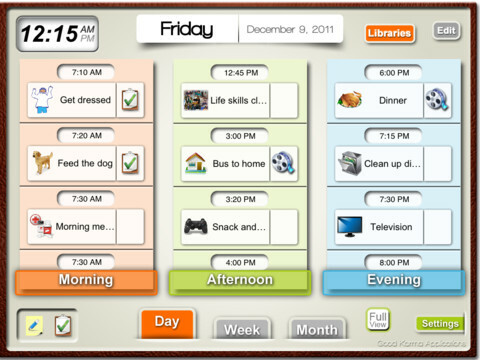 We can also use this time to work using our AAC devices for greetings, cool! However, our students have often been in the same group of children for years before they get to middle school or high school. How many times can we ask Raheeb to greet Jovanny in a year? In three years? In ten years? As teachers we can give careful thought to how and when morning greeting occurs. In lower grades morning message is a time when the students read a note written to them as a class by the teacher on the board or a flip chart. With a little modification this can be a great activity in older special needs classrooms - because lets face it, getting a note from someone is age appropriate for every one. 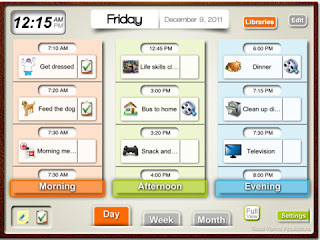 Some ways to adapt for our learners include embedding key picture symbols into the text (keep a supply of key symbols ready), using morning message to teach core vocabulary for AAC, recording the morning message on a switch for a students to "read" to the group or using a video of a mystery morning message reader on your interactive whiteboard. How can you make morning message fit with your morning meeting mission? What can you do that is age appropriate, engaging and functional for your students at morning meeting? I have been using Symbaloo a lot in classroom to help staff find the best website to use with a student quickly. I thought I would share this Online Switch Game Symbaloo with all of you! Let me know if you have some good ones to fill in the empty spots! 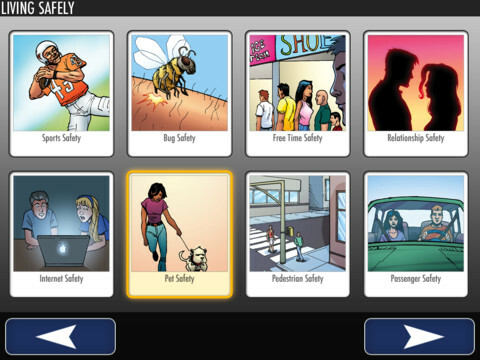 districts subscribe all or some of the Learning A-Z websites, such as Raz Kids. The Vocabulary A-Z (or for the sake of this blog entry - VAZ) site also offers a one week free trial where you can make free sample lessons. The way the website work is that you start by entering a word list by selecting words from the categories the site gives you. Most AAC core vocabulary words can be found in the high frequency list. Although you have room for 12 words on any list you don't have to use that many. Once you create a word list lessons are automatically developed for you. Given our student population quite a bit of adapting may need to be done and some worksheets may not be useful, however since many of us in severe special education get little or no curriculum to start with these worksheets can be a nice starting point. 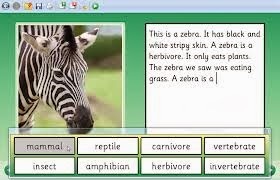 The worksheet where the students are asked to put the words into sentences could easily be adapted using picture symbols to glue into the spaces or it could be re-created in Boardmaker Plus, Clicker 6 or a similar program. 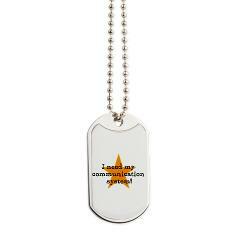 Another choice would be to simple have students "dictate" by using their communication boards or speech devices. 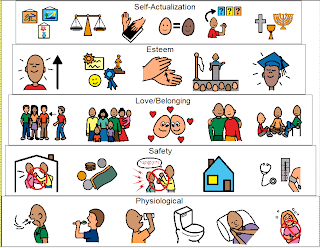 The parts of speech sorting activity could be made more meaningful for AAC users by printing out the words/picture symbols for the lesson with color coding according to the Goosens or Fitzgerald color code (be sure to use the system used by your students' devices!) and then sorting by color and part of speech. Other parts of the lesson could not be more perfect for adapting like the picture flashcards were students glue a picture (or picture symbol) onto the back of pre-made flashcards. The bingo (they call it Wordo) can also be adapted easily. 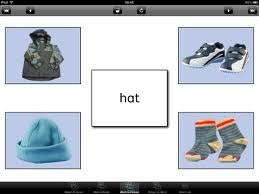 Another way you can extend the VAZ lessons or any other AAC core word system is by using the Word Toob app on an iPad. The Word Toob app allows you to make a custom "board" with photos or imported picture symbols (save them to your camera roll) and pair them with video clips to teach vocabulary. Sensory Cause and Effect Lightbox, a popular app on the iPad and Android devices for learners with significant disabilities including autism, cerebral palsy, and cortical vision impairment is now available as a free download for Windows and Mac computers. 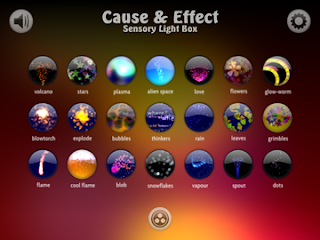 On the iPad and Android devices this app is popular because it offers 21 calming or stimulating visual and auditory scenarios with a variety of access methods including touch, sound activation and external switch. Additionally there are all sorts of customizations from colors, to live camera feedback to using a photo as the background - everything you need to help motivate that hard to motivate learner. On the iPad it can also be used with an Apple TV and Airplay to create a larger light show and make the app fun for a whole group. Effect Light Box to your Interactive White Board (SMART Board, Promethean, Tap-It). Dim the lights and use it as a part of a multi-sensory classroom experience for students with a variety of disabilities. On the computer you still have the same options of using a touch screen, sound and switch activation and more. 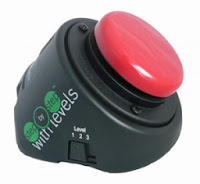 Other settings make it easier to use with head trackers, joysticks and other alternative access devices. There is even an option to use it with gesture recognition such as the Leap Motion. The free software is also perfect for open (unlocked) communication devices - including eye gaze devices! For early eye gaze users just learning to use their eyes as an access method Sensory Lightbox might be the perfect tool. 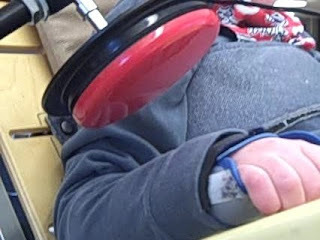 Below you can see it being used on a Tobii C-Eye using Windows Eye Control. For the young lady in the video a Justin Beiber background has been just the thing to make this a new favorite activity! The Clicker Family of products has long been a staple in special education classrooms in the USA (and most elementary school classrooms in England). With the recent addition of a "Mouse Dwell" to select feature Clicker 6 now works with pretty much every type of computer access method, including switches, eye gaze tracking and more. One of the great things about Clicker 6 is you can make it anything you need it to be to help your students learn. 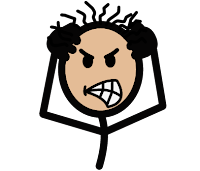 One of the not-so-great things is that none of us have the time to spend making the number of Clicker 6 activities for our students we wish we could. Luckily teachers love to share! Here is a list of Clicker resources and activities. One of the joys of social media is the opportunity to hear from diverse situations on important topics. And one of the challenges is that sometimes those voices are less informed that it is advisable to listen too. Websites like "Pinterest Fail" make poor or badly given advice amusing, but what happens when the ill advised suggestions is about something more serious than a chocolate cake recipe? One of our responsibilities as teachers is to be sure we are following best practice and best practice isn't always represented on Pinterest, Facebook, Twitter or Tumbler. 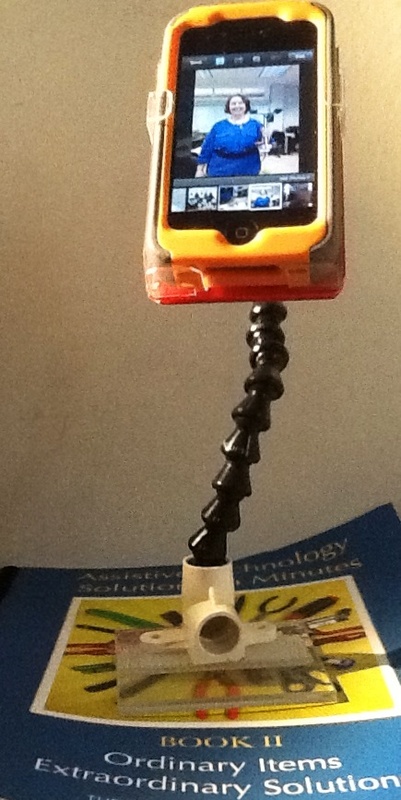 For example, in spite of what we know is researched based, best practice about high expectations, core words and presuming competence in the absence of other evidence it is common to read that we should, for example, start with or require mastery of low technology eye gaze boards before trying high technology eye gaze AAC (and no student is in a position of "absence of other evidence" than a student who has only have eye gaze for communication!) or that we should start by offering only a few choices and not increasing vocabulary until those choices (nouns, of course) are mastered, rather than starting with aided language stimulation and core words as research tells us we should. As we move with our students into the new school year let us remember that it is our job to examine the advice we hear on social media and compare it to research based evidence proven practice before we decide what and how to teach our students. They deserve our effort! From time to time I visit a former student of mine. He is a great young man: full of smiles, a ready laugh and a star on his speech device. Recently, I stopped by and his mom told me that he was feeling down. He hadn't been communicating using his Tobii eye gaze driven speech device or his gestures. He also had not been laughing or smiling much. I was puzzled, but thought perhaps it was related to some changes happening in his life. Eventually we sat together and I could see that while he was trying to activate his speech device it wasn't working. The minute I touched the screen and went into the eye gaze menu he started smiling and pointing at me and then the screen. He knew something no one else knew - his device setting were wrong - and he knew finally someone was going to figure it out! It turned out his eye gaze profile had been deleted, which means that the device wouldn't work properly. Also the amount of time it would take for him to activate a message had been turned up very, very high. I won't speculate on how or why these things happened, or on why it hadn't been noticed by the professionals in his life whose job it is to notice these things. I will speculate on the utter lack of training we, as professionals, offer parents and caregivers of augmentative and alternative communication devices. If we trained parents better ("we" means schools including SLPs, AT specialists, teachers as well as vendor companies) this sort of thing would happen less. Let us all take it upon ourselves this year to teach parents how to recognize when there is a problem with assistive technology and what to do about it! Additionally I would like to suggest that everyone make, laminate and attach to speech devices a quick troubleshooting guide that includes a section about when the individual is communicating less than usual and what to check both on the device and with the individual. Send me pictures of what you create and I will share your ideas! This story was written by Sean Stenglein using his Tobii C-15 with the Word Power Software through eye gazes control. Sean was asked to write about A Hero's Journey at school and this was the result, unedited. I met Sean at Camp Communicate in Maine last weekend and he agree to provide us all with a little back to school inspiration. This year it is on us: teachers, paraprofessionals and therapists to travel with our students on their hero's journeys. children (and adults) with limited motor skills the ability to control nearly anything. Unfortunately many teachers, paraprofessionals and others working with our students do not receive much training in teaching switch use. Some assume that the ability to hit a switch for cause and effect activities (make the toy walk or make the computer game change) is the ultimate goal, but that isn't true. A switch or switches are a means to an end. The switch is a tool for controlling other things - toys, games, appliances, computers, power wheelchairs and more. Teaching switch use is about moving from learning what the switch does to learning to use the switch to do things. Our goal should never be to "activate the switch 10 times in 30 minutes" or "in 8 out of 10 trials"; instead our goal is to complete a task, be it leisure, vocational, academic or something else using a switch or switches. Many of our students get "stuck" on cause and effect, not because they aren't capable of more, but because we don't know how to tell when they are ready for more or what to do next. Once a child can activate a switch and anticipates/attends to what the switch does they are ready for more. If you are not sure if they are anticipating or attending then make the, "least dangerous assumption" and presume competence and move on. Ian Bean has a great slide show you can look at called, "Beyond Cause and Effect." The free Switch Progression Road Map is also a must read. What do we do next? That depends. If the child is capable of using two switches then we introduce a second switch. This might be two switches at the hands or sides of the head; it might be one at the hand and one at the head; it might be two finger switches or one at the left elbow and one at the right knee... the possibilities are endless. Whatever two locations the child is able to activate deliberately and with control. The first learned switch site usually (but not always) becomes the "chooser", "selector" or "this one" switch. The new switch site becomes the "mover", "scanner" or "not this one" switch. Now the student begins work on two switch scanning. Don't worry if the student doesn't "get it" at first, it is a learning process! Moving beyond that single switch for cause and effect is a huge gift you are giving your student! Linda Burkhart has a great hand-out on moving from cause and effect to two switch scanning . See below for software and websites to use to work on two switch scanning. Here is a link to an animation of two switch scanning. What happens if the child is only able to activate a single switch? Well, no matter the location of the switch, we start to work on timing the switch hit. If the child can see and hear we start working with an auditory and visual scan with a long enough pause over each choice for the student to decide and activate the switch. If the child has vision or hearing difficulties we enhance the scan to accommodate for challenges, verbal prompts for a student who has vision issues, bright lights or colors that correspond with the scan for those with hearing problems, tactile cues such as vibration for students who are deafblind. You can see an animation of single switch scanning here. A comparison of two online, subscription based switch programs. Last week I had the great pleasure of spending a day with Therese Willkomm, know as the AT MacGuyver, in Assistive Technology Solutions in Minutes II. Our morning was filled first with experimenting with Google Plus and Therese's awesome beta version of Google Glass. Then we had an exciting tour of all of Therese's favorite materials: Loc-line, Uglu, industrial Velcro, coroplast (corrugated plastic), plastic cassette cases and more. I learned how to make a Traveling Eileen iPad/book stand (and so can you, watch the video). After a wonderful lunch in the UNH cafeteria and shop talk we returned to the lab. We spend some time sort of off-topic talking about Waze, one of my favorite GPS apps and then got down to business. In record time Therese, Stacy and I built an iPhone stand for my iPhone and I learned how to make tactile graphics for students with low vision on touch screen tablets! 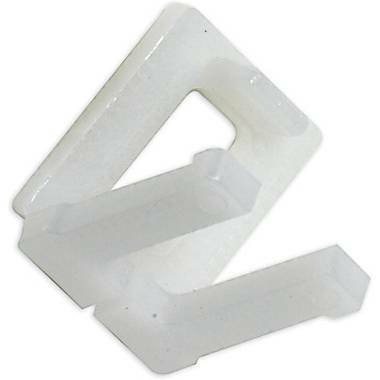 Just a couple of days after I had the chance to spend time with Therese I used one of the AT adaptables she introduced to me, Wall Corner Guards (those clear plastic strips you attach to the corners of your wall to protect your wallpaper or paint job from damage), to block the buttons on an adaptive trackball I was using with a student! So cool. Therese shares many of her creations and ideas online. Her YouTube channel is full of great how-to videos. You can also check out the how-to documents on the UNH website. You can purchase the new book, Assistive Technology Solutions in Minutes II: Ordinary Items, extraordinary Solutions from the Institute on Disabilities website. Also, don't miss the first book, Assistive Technology Solutions in Minutes. 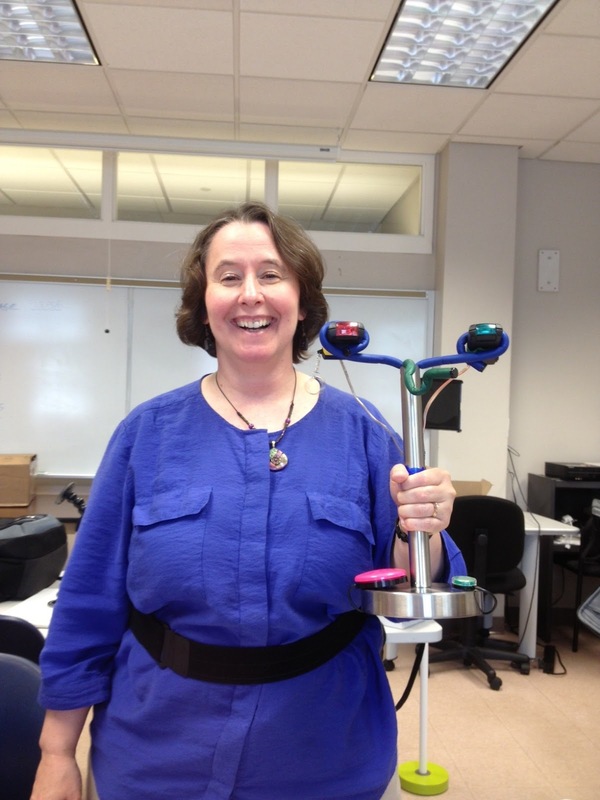 If you are interested in seeing Therese speak you can usually catch her at ATIA, Closing the Gap and other large assistive technology conferences or you can take a workshop or class at UNH. You can also talk a live webinar with Therese in November 2013. Better yet you can invite her to present to your school or agency. Therese also issued me a little challenge I am passing on to my readers. What ideas for you have for using this 1/2 plastic buckle component in the service of meeting assistive technology needs for your students (or anyone else)? A long time favorite app, Special Words, has added support for one or two Bluetooth switches today! Hopefully this means that stories created in their Special Stories app and played in Special Words will also have switch access. With any luck they will add switch access to the Special Numbers app next! 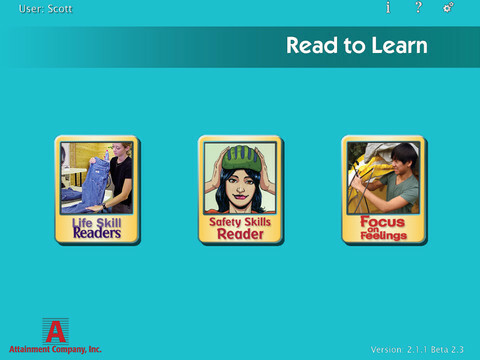 It is a good day for literacy learning on the iPad for switch users.